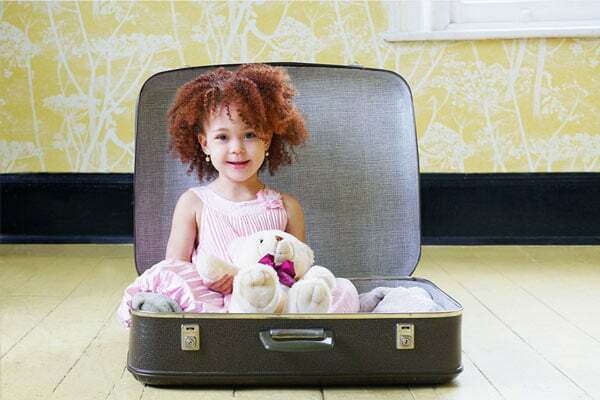 What are your options if your ex wants to move out of state with your child after divorce? That will depend on your custody agreement and whether or not you object to the move in court. Americans are a mobile bunch. Many of us move multiple times during our lives for reasons as varied as we are. Landing a new job, falling in love with someone from another state or simply wanting to experience life in a new place are just a few examples. But it’s not so easy to pick up and go when you’re a divorced parent. Especially if you want to move out of state with your kids. Your custody arrangement – along with the well-being of your children and the rights of your ex must be carefully considered. If you’re a California resident contemplating relocating after divorce, it’s important to consult with an experienced attorney who understands the complex laws related to the situation where your ex wants to move out of state with your child. Whether you’re already divorced and have a custody plan in place or are in the process of divorcing and figuring out the best arrangement for your family, you need to understand how custody will affect your ability to move. Joint custody tends to be the most successful and least disruptive to children when both parents live near each other and enables each parent to spend plenty of time with their kids in their individual homes. This type of arrangement also ensures that parents have an equal say in education, health care, religion and other important issues related to raising their children. Although long-distance co-parenting can work and is becoming more common, the logistics naturally make it trickier. It’s one of the reasons California law says that if you have joint custody and your ex wants to move out of state with your child, but you oppose the idea, it’s up to your ex to prove in court that relocating is in their best interest. If you have sole custody of your kids, you have more leeway when it comes to move-aways. The law gives you the power to settle out of state with them unless your former spouse can show that doing so would harm the children. California law requires a custodial parent to provide written notice of plans to move away with a child for more than 30 days. You must submit your notice at least 45 days before the proposed move. This allows you and your former partner to negotiate a new custody or visitation agreement. Even if there’s only a slight chance you’ll want to relocate with your kids in the future, it’s wise to prepare for this possibility well in advance. Some couples even build agreements for handling a move ­­­ – should the need arise – into their parenting plans while they’re divorcing. Keep in mind that your ex has the right to file an objection to a move and even request a court hearing to change your custody arrangement. Typically, a court will only do this if a judge decides that relocating would have a severe, negative impact on a child. In one California case, for instance, the court sided with a father who didn’t want the mother of their children, the custodial parent, to move them across the country. The judge didn’t find the mother’s reason for moving compelling (she wanted to live close to her childhood home). After taking this and other factors into account – such as the distance of the move and the children’s poor social and emotional skills – the court granted custody to the father. The judge believed this would give the children the stability they needed and help them improve their relationship with their dad. Will relocating significantly improve the quality of life for the custodial parent and child? Does the parent who wants to move have valid reasons? Or are there other motives at play – such as wanting to keep the other parent from seeing the child? Is uprooting the child going to take a toll on his/her emotional, physical or developmental needs? How likely is it that the parent with whom the child will live after relocating will comply with court orders for the child to spend time with the other parent? Will the move provide realistic opportunities for both parents to be fully engaged in their child’s life? Once you and your ex agree to a move away, it’s essential to come up with a written plan that enables both of you to stay connected with your children. Typical plans provide for regular communication between the non-residential parent and the child and let kids spend major school breaks, such as summer vacation and winter holidays, with their non-residential parent. Thanks to the Internet, long-distance parents can also take advantage of virtual visitation plans to be close to their children all year long as well as online video call services such as Facetime and Skype. Whatever the scenario, it is crucial to work with a credentialed family lawyer who can help you navigate the complex, ever-changing laws related to move-aways.